In my last column, I began what I hope to be a three-part series on “time alignment,” which was a follow-up on the article focusing on how to get started on your A-pillar speaker build. This is part two in that series, where I focus specifically on aligning speaker outputs in the time domain based on not only their location but also their impulse response and group delay. Like last time, I’ll remind the reader that are no “laws” in car audio, and although what I present below has worked in the lion’s share of the hundreds of cars I have tuned for organized car audio competition, YOUR car audio system and/or experience may be vastly different. To begin, an important rehash of some critical information discussed last time is needed. There are two ways to “time-align” speakers: electrical (or electronic) time-alignment and mechanical time-alignment. 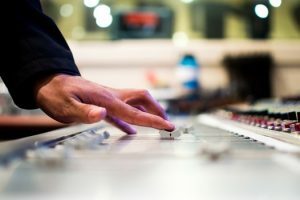 If you’ve ever been to one of my Sound Quality Summit training seminars, one of the afternoon segments focusses on identification and classification of both mechanical and electrical problems; all problems in car audio can be divided into one of the two, and identifying them properly allows us to better evaluate potential solutions. Time-alignment is no different, and believe it or not, the vast majority of time-alignment ‘problems’ in a car are the result of mechanical ‘problems’ in one’s installation, including inadequate speaker mounting techniques and locations, distances between speaker pairs in multi-way systems, the disparity in speaker diameters, reflections, acoustical phasing anomalies, and the list goes on and on (there are some electrical reasons for time-alignment irregularities too, but for the sake of simplicity and brevity, I’ll focus on mechanical reasons in this article). I always endeavor to at least attempt to fix mechanical problems with mechanical solutions. That means trying my best to optimize path length differences (discussed in detail in the kick panel article a few months ago), distances between pairs of speakers in a multi-way system, distances of speakers from each other on the same side, time offset between drivers of differing sizes and moving mass, time delay associated with certain box designs, physical location of subwoofer systems, abating early reflections, and etc. But sometimes we need electrical/electronic help in the form of digital signal processing, because it is a car after all, and there’s only so much you can do, within reason, to optimize a car mechanically. A perfect example of this is the time-alignment of subwoofers in a car, and that was the subject of the first article on the subject. Now we dive into the meat of the subject and discuss front stage multi-way speaker systems and how to properly set time domain adjustments. For the sake of providing an example system to discuss, we’ll focus on the nuances of setting up a three-way front stage (midbass, midrange, and tweeter). If you use a two-way front stage (midbass and tweeter), just simply ignore set-up advice presented herein for a dedicated midrange driver. In most car audio systems, the midbass will be located in the door of the car. As identified in the kick panel article a few months ago, quite possibly the most important functional consideration is to optimize, as best as possible, path length differences (PLD’s) in the vehicle. In most cars, the kick panels are the furthest potential spot to locate speakers away from your ears. And kick panel location speakers benefit midbass drivers particularly in the low hundreds of Hz region, where time, and not amplitude, is the dominant factor. A typical door installation represents a good PLD; not ideal but satisfactory. The real problem with most door installations is that doors are noisy, have an abundance of rattles, are difficult to fully seal front and back waves, and represents a very ‘moist’ environment due to drips and drabs during precipitation events. But I’m getting off subject. J For the sake of discussion, we’ll assume for now that our vehicle uses door-mounted midbass locations, and further, that the midrange and tweeter are located high in the dashboard, at the top of the doors, or in custom A-pillar pods. Simple speaker location geography in many cars puts the door-mounted midbass about the same distance away from your ears as the dash-mounted midrange and tweeter (if it’s not, and the midbass is dramatically closer to you, or further away from you than the midrange and/or tweeter, would need to make adjustments on each side to account for this physical offset distance). Assuming the door-mounted midbass is about the same distance away from your ears as the dash-mounted midrange and tweeter, one would think that to get a good, solid center image that you should just delay the speakers equally on just the left side (for left-hand-drive cars), or delay the speakers equally on just the right side (for right-hand-drive cars). Sounds simple enough, right? Not so fast. Although midbass speakers often boast a very light diaphragm (much lighter than a subwoofer), from a relative term, they are heavier than your midrange’s diaphragm and significantly heavier than your tweeter’s diaphragm. This is a Thiel-Small parameter known as moving mass, denoted in technical bulletins and user’s manuals as “Mms.” Using Hybrid Audio Technologies speakers as an example, the Legatia L6SE 7.1-inch midbass has a Mms of 13.4 grams, the Legatia L3SE 3-inch midrange/full-range driver has a Mms of 2.46 grams, and the Legatia L1 Pro R2 tweeter has a Mms of 0.30 grams. Assuming all speakers are equidistant from your ears on one side, such as the left side, and looking ONLY at time, and not intensity or reflections, the tones from the tweeter will arrive at your ears first, followed shortly thereafter by the midrange, and then the midbass. The phenomenon described above is known as group delay. In simple terms, group delay is the time it takes for an electrical input signal to become an acoustical output. It is generally accepted that group delay should ideally be zero seconds at all frequencies; this is where the use of an advanced digital signal processor (DSP) comes in, to attempt to at least ‘align’ groups of speakers in a multi-way system in the event processing is not available to you to make time adjustments per cycle. It’s a step in the right direction at least, and it’s easy to do in multi-way front stage systems. Adjustments to time should be made, keeping in account the moving mass of the speaker and its resultant group delay. For a multitude of reasons, assuming equidistance between midbass, midrange, and tweeter, adding time delay to the midbass and not at least the same amount of time delay, if not slightly more to the midrange and tweeters will exacerbate this phenomenon. Adjustments can be done “by ear,” and in most cases, the time domain adjustment for same-side speakers in a three-way system will likely be within one millisecond of each other. A much more repeatable way of evaluating time in a multi-way system is to use an impulse response measurement technique. I use HOLMImpulse, a freeware program for doing impulse response measurement. This handy tool, when combined with a calibrated microphone, can objectively help you evaluate the impulse response from your multi-way speaker front stage. Go to http://www.holmacoustics.com/holmimpulse.php to learn more. When done, your multi-way front stage should be delayed in such a way that tones from all six speakers reach your ears at the same time. Congratulations! Unfortunately, this is only half the tuning you need to do. As covered in my “A-Pillar Speakers – What’s the Fuss and How It’s Done (Properly)” write-up several months ago, in most systems, the midbass will cover tones from 250-400 Hz and down (with a highpass at 50-80 Hz to protect them from low sub-bass), with your ‘satellite’ midrange and tweeters covering from 250-400 Hz and up, generally speaking. In this article, we learned that, in general, the sound arriving at the ear further from the source is attenuated and delayed relative to the sound arriving at the ear closer to the source. This generates an interaural intensity difference (IID) and an interaural time delay (ITD). ITD (i.e. time) is the dominant factor for frequencies below about 500 Hz, a combination of ITD and IID (i.e., time AND intensity) are dominant for frequencies between approximately 500 Hz and 2,000 Hz, and IID, in concert with Head Related Transfer Function (HRTF) (i.e., intensity only) are dominant above about 2,000 Hz.